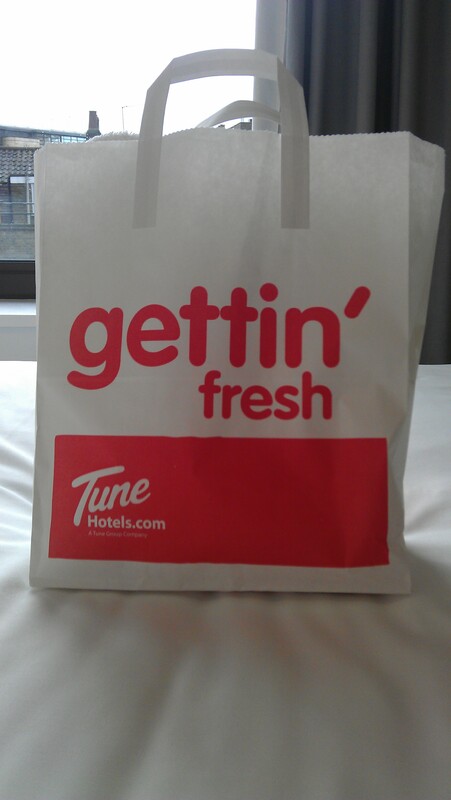 A few weeks ago I had my first experience of the newest budget hotel brand to hit the market, Tune Hotels. Tune Hotels have an interesting story to tell and to launch into an already crowded segment, especially in the UK, they needed to differentiate their product offering. To be perfectly honest, I doubted they would do this. With Premier Inn, Travelodge and easyHotel making up three pretty powerful ‘budget’ hotel brands (and all on different scales of budget) I doubted if adding another brand to the mix would be a success. I was proved wrong. What Tune are doing is actually quite unique – offering budget accommodation with a focus on quality. Not two words you would traditionally put together. Quite simply, Tune Hotels have a similar product to easyHotel – but they take the quality of their rooms to another level, with power showers, flat screen HD TV’s and quality decor. You still have the opportunity to limit the cost of your stay by choosing a room with no window, not paying for TV etc, but you still end up with a comfortable room with the amenities you need. You can also purchase comfort bags, that include some basic essentials like towels and shampoo, cleverly called “getting’ fresh”. 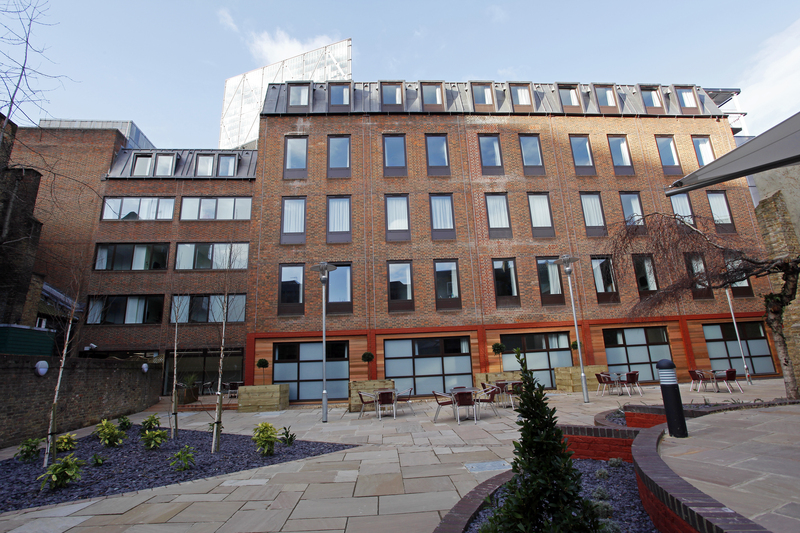 I stayed at the Liverpool Street property which is conveniently located in Folgate Street, central London, close to Shoreditch, Brick Lane and St Paul’s Cathedral. I was refreshingly surprised with the ambiance when I arrived. Too often I’ve arrived at a reception desk of a truly budget hotel to be greeted with an unpleasant smell or cheap looking furnishings and the staff to match. 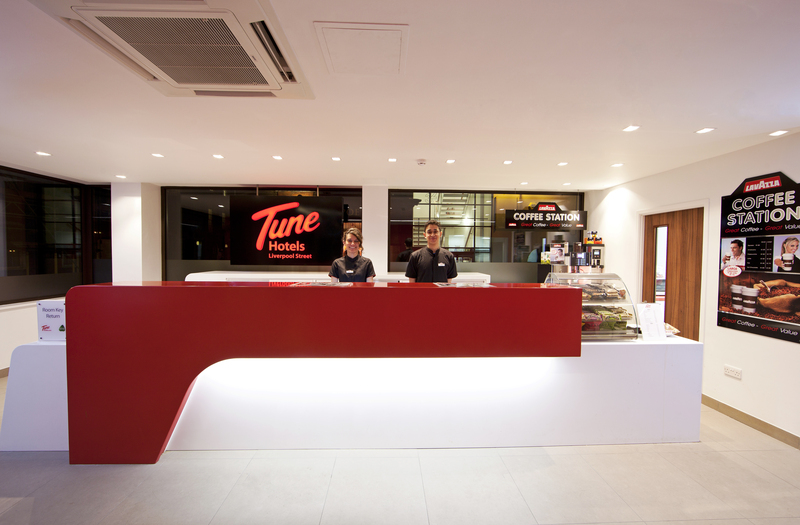 Tune Hotels provided something quite different – a more spacious reception area and attentive staff who were genuinely happy to help and offer advice about the local area. I recently spoke to Tune Hotels about their brand and am pleased to share part of our short interview. Q: How did the Tune Hotels brand start and what’s the inspiration behind it? A: The Tune Hotels brand started in Kuala Lumpur in Malaysia in 2007 and since it was first launched over 3 million guests have stayed in one of its properties. There are now 22 hotels available in Malaysia, Indonesia, Thailand, Philippines and the UK. Tune Hotels are part of the lifestyle business conglomerate, Tune Group, which was founded by Tony Fernandes and Kamarudin Meranun. The Tune Group includes Tune Air, Tune Hotels, Tune Money, Tune Talk, Tune Box, Tune Studios, Tune Tones, Caterham F1, ASEAN Basketball League, Queens Park Rangers Football Club and Kualu Lumpur Education City. Q: Where does Tune Hotels fit in the market, and what makes you stand out from your closest competitors? A: Tune Hotels sits in the budget hotel sector but has quickly established itself as a great value alternative to some of the more established ‘full service’ budget brands. Tune Hotels have embraced the low cost model similar to airlines which encourages guests to book early to enjoy exceptionally low prices. The ‘pay as you use’ concept for optional extras allows guests the ultimate flexibility to pay only for the facilities that are important to them. Since its UK launch in August 2010, Tune Hotels has won a loyal following and has achieved a Trip Advisor Certificate of Excellence for its consistently high feedback. Q: What expansion plans do you have for 2012 and beyond? A: In addition to the Paddington and Kings Cross hotels, we have recently got planning permission for our first hotel outside London in Edinburgh which we are hoping will open in mid December. We are continuing our search for suitable locations in London to reach our target of 10-12 hotels in London by 2017. Q: How are the London Olympics effecting your London hotels? What trends are you seeing? A: Westminster and Liverpool Street are almost full for the Olympic period. We’ve only recently opened up sales for the new Paddington and Kings Cross hotels so have plenty of availability at the moment. We expect, with our competitive pricing, that we will fill all our hotels during this period. In summary, I believe Tune Hotels have a very different offering to others in the market and I can certainly see a successful expansion in the UK market following. 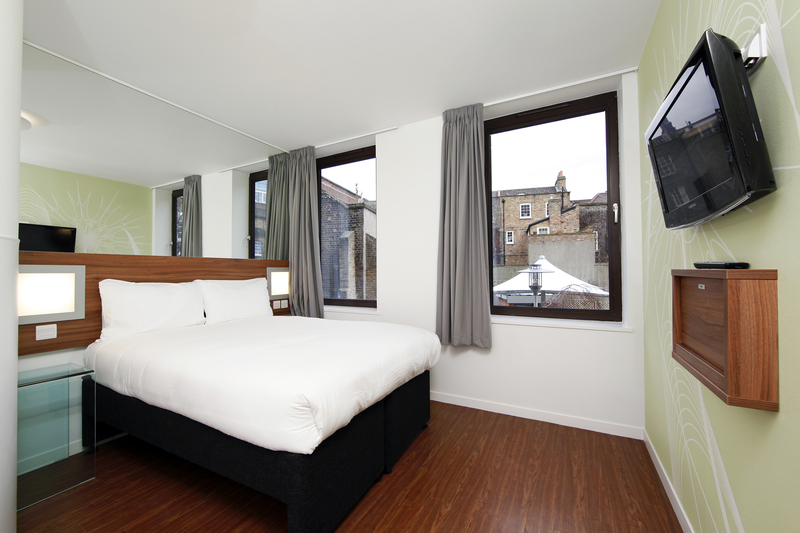 Since my stay, Tune have opened a new London hotel and had a fantastic social media campaign, centring around a Facebook challenge, prompting followers to find hidden £9 a night rooms online. Tune are getting everything right: product, pricing and marketing. In a new series of posts, I will talk about some of the best hospitality websites out there, and this time it’s the turn of Mr & Mrs Smith. This is a great company who are extremely passionate about what they do, and the product they deliver and if you’re not familiar with them, then I urge you to check out their website. By means of some background, Mr & Mrs Smith are luxury boutique hotel specialists, created by James Lohan and Tamara Heber-Percy. As they detail on their website, their brand name was created long before the famous Brad Bit and Angelina Jolie movie, and the name came to represent what the company’s product was all about – romantic escapes with your other half. It really is a fantastic collection of luxury and very unique hotels and in my opinion, the product stands out head and shoulders above other businesses operating in the same arena. So, to focus back to the website – why do I rate it so highly? Well, it keeps you coming back. Of course, the wonderful hotel content plays its responsiblity in that, but the website truly drives people to explore, not only the hotels on offer, but the Mr & Mrs Smith brand and philosophy. What is really important, and so many hotels and hotel operators miss out on, is interacting with potential guests and making them feel valued (and keeping returning guests coming back time and time again). Mr & Mrs Smith do this in a number of ways, and extremely well too. From their Twitter account (with over 10,000 followers) to their very well written blog, all aspects of interaction are covered to promote their content and customer commitment. They also have a great new application where customers can view video’s of the Mr & Mrs Smith hotel collection before they book. We say it all the time, but video is by far the most powerful media to promote hotel content. And let’s face it, in the market Mr & Mrs Smith operate in, the hotel product sells itself, so adding video only further captures people’s imaginations and credit cards! The way the hotels are presented is also very well thought out, together with a good quality booking engine to enable online bookings to be captured. The site also has a members only area and an interactive map search facility too, so customers don;t always have to look specifically for something – they can be inspired (which is what travels about). In summary, the social media channels do exactly what they should – push the brand message to the consumer and direct them back to the website. The website is wells structured, interactive, and lets the customer become truly lost in the holiday planning. Great work Mr & Mrs Smith! You may remember that I promised that my 400th follower on Twitter would win a free post to profile their business. Well, the lucky winner was found a couple of weeks ago, so congratulations Hannah Summers! Hannah is at ZFL PRCo, a PR company who specialises in providing integrated public relations to the luxury travel, hotel and property sectors. So, as the winner of my Twitter offer, the following post is all about one of their clients, Hospes Infinite Places – a Spanish hotel group. I hope you find it interesting! Hospes Infinite Places is a Spanish-born hotel group with a range of four and five star hotels located across various regions of Spain, plus one hotel in Paris. Their current collection includes properties in Alicante, Cordoba, Granada, Mallorca, Seville, Valencia, Puigcerdà, Madrid and Paris and they will soon be opening in Beirut and Damascus. 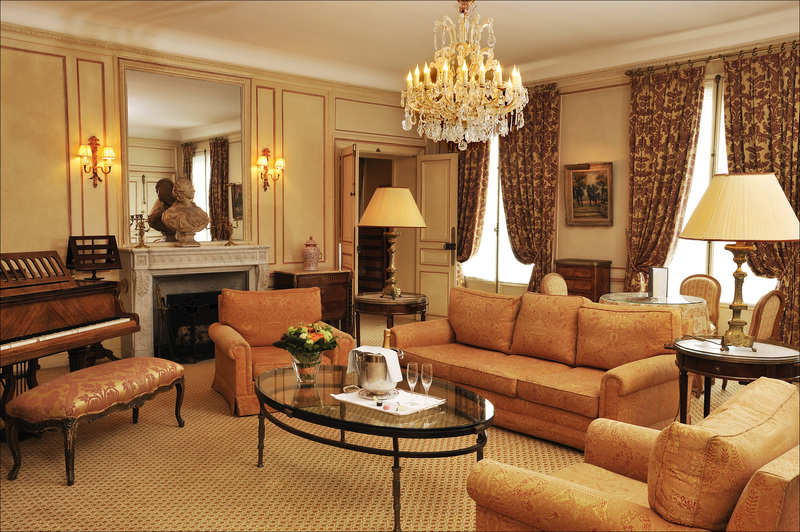 One of their most renowned hotels is located in Paris, the Hospes Lancaster, a member of The Leading Hotels of the World. 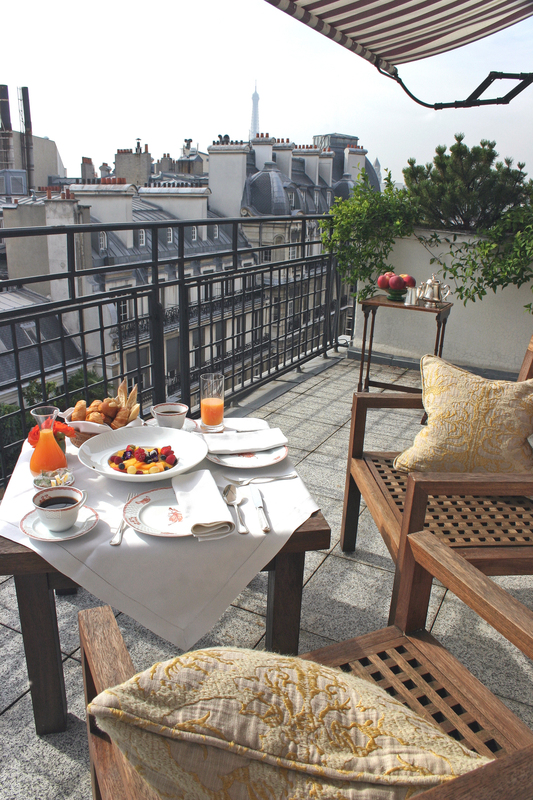 It is a boutique hotel built in 1889 with 60 rooms and 11 suites located around a tranquil courtyard garden. 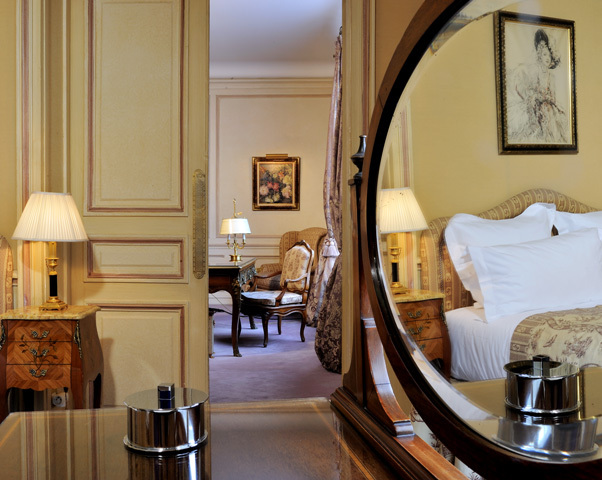 With a collection of art and antiques, the hotel is rich in history and ideally located steps away from the Champs Élysées and the Arc de Triomphe. The beautiful Michelin Star restaurant, La Table du Lancaster is overseen by French chef Michel Troisgros and offers a menu of delicate European and French cuisine. Hospes Lancaster is offering an exclusive Valentine’s package this year, combining a stay in the Marlene Dietrich Suite, with a host of luxuries including a private piano concert and a chauffeur driven tour of the city. After receiving a huge amount of interest in my recent post on TVtrip (click here to re-visit) I contacted Annika Lucien from TVtrip to find out a little more. Our interview is right here. Look forward to your comments and questions. 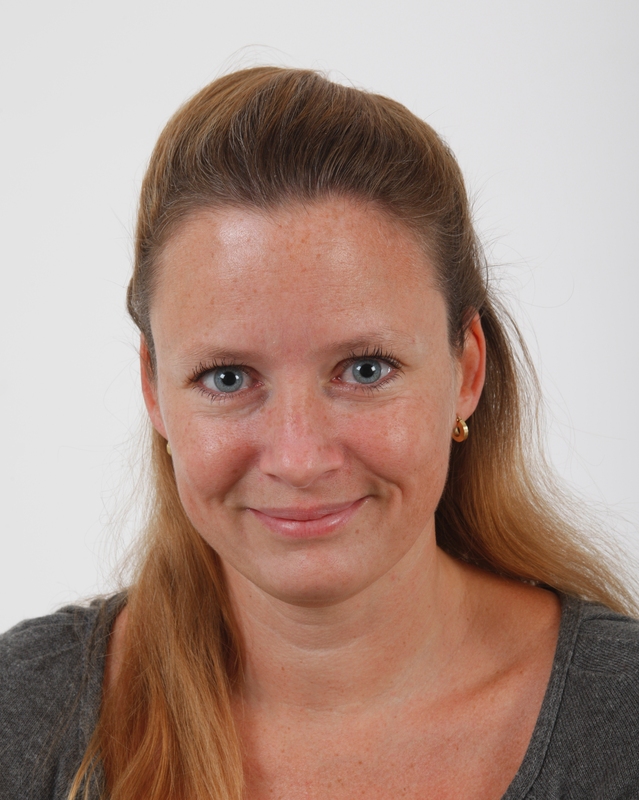 Q Annika, please introduce yourself to Hotel Insight and explain your role at TVtrip. Hi there, my name is Annika, and I am VP Europe at TVtrip.com. I’ve worked at TVtrip since it launched back in 2007. I’m in charge of the European sales strategy and business development for those different markets. TVtrip is the leading online hotel video production and distribution. We help increase the visibility of our hotel partners on the net thanks to our professionally filmed video content. We have filmed over 6000 worldwide hotels and distribute the content to leading OTAs, tour operators, review sites, search engines and social networks. We partner with global chains such as Accor, Starwood, Hilton and Marriot and with local chains and independent hotels as well. We also offer to our hotel and OTA partner a wide range of technical solutions to display the videos on their websites and increasingly on mobile devices. Q Your business revolves around the use of video so sell your properties, something that is more and more in demand by consumers. Over the last few years, how have you seen this popularity change? Today the purchase of travel arrangements on the Internet is simple and accessible to everyone. But often lacks the right information at the right moment which makes it challenging for the end user to choose the right property. TVtrip was created to help consumers get a true, unbiased idea of a hotel or destination before they actually book their trip. We like to describe TVtrip as the video Tripadvisor for hotels in key cities. We were convinced that video would quickly become a prerequisite to sell online. It was only 2 or 3 years ago that video was a “nice to have” on a travel site. Today 97% of internet users agree that travel sites should contain more video. Q How are all the videos collated? By hotels themselves or by a TVtrip team? All videos are produced by TVtrip. We recruit professional cameramen in each city. The editing is centralized in order to guarantee a unique format and a quality of the videos. Q How has business been over the last 12 months? Business evolved very positively over the past 12 months. We managed to broaden our position in the European markets and had a very positive development in the US thanks to partnerships with major chains like Marriott, Wyndham and Best Western. In Asia there has been an important growth in markets like China, Korea and Japan. Also the traffic on our websites is increasing steadily. Today we reach over 2.5 Mio Unique Users per month. Our booking partners do over 14000 monthly transactions thanks to our traffic. Q What’s your target audience, business or leisure? TVtrip focuses both on business and leisure travelers. Videos are definitely an added value for both groups. A recent Google study shows that videos are used throughout the whole travel planning process, both from business and leisure customers. Q TVtrip is a unique hotel booking website – who are your closest competitors? In theory we compete with video production companies. But our technical solutions and video distribution model are quite unique. Q What’s still to come from TVtrip and what can we expect from 2011? Today we do not only film hotels but also restaurants, point of interests etc. TVtrip will evolve toward being a complete video travel guide, helping Internet users plan their trip thanks to our videos – and very soon our customers and hoteliers will be able to upload their own videos onto TVtrip giving a more, comprehensive view of the destination. My thanks to Annika for talking to Hotel Insight. TVtrip are certainly an innovative company and with big plans for the future. Check out their website here. Today I wanted to tell you about Funnelscope, a relatively new company that combines social media, hotel reviews, and hotel booking technology. I like to bring to you new and interesting companies and start-ups in the world of hospitality, and the concept behind this company is certainly intriguing. To get more of an insight into Funnelscope, Hotel Insight spoke to Kul Singh, the founder of Funnelscope. Q Kul, please introduce yourself to the followers of Hotel Insight and your background. Hi Simon, thanks for the opportunity to talk about Funnelscope. I’m the founder of Funnelscope and a serial entrepreneur that has built several companies. In 2007 I took a sabbatical to travel around the world for 9 months. Travel has always been one of my passions. When I came back I had an itch to build a new company and wanted to focus on one of my passions: travel. In 2008, the idea for Funnelscope dawned on me as I was searching for a hotel and became frustrated with the amount of time it took for me to search. I would read the online reviews but since they were written by people I didn’t know, I spent hours that led to days trying to figure if these people were like me and shared the same tastes. That’s when I had the “aha” moment that hotel reviews need to be social and personalized. We all trust recommendations from people we know. It makes helps us make a faster decision when a friend recommends it– it alleviates the pressure of making an important decision. Fact is when we book a hotel, especially for a vacation, the decision is like purchasing a mobile phone or car. It can even be tougher because you can’t “return” or test drive a hotel if you don’t like it. Once you are there, you are effectively stuck with that decision. So we all invest that extra time beforehand to get it right given vacation travel can be expensive and we all value our time off. We want to make sure it’s the right decision for us and our families. Making hotel search social allows us to spend less time researching that perfect hotel because of that friend recommendation. Q Funnelscope is relatively new brand concept. Please explain the purpose of your business and who it’s aimed at. Funnelscope is the first hotel search engine built on top of social networks: Facebook, Twitter, and new location applications such as Foursquare and Gowalla. Since we didn’t have a legacy product to deal with, we were able to build this inherently as a social product. This allows us to create a new experience around hotel search. Who is it aimed at? Anyone that travels and stays in a hotel. If you use review sites today, I would suggest using Funnelscope because the reviews are all linked to a real person on Facebook or Twitter. You don’t have to worry about fake reviews from a competitor of a hotel or the hotel itself. These are real people like us. It should be noted that you do not have to be on a social network to get value from Funnelscope. But if you are, then you will receive the greatest value because you can see personal recommendations from people you actually know. Q There are some key review websites already in the market place, predominantly TripAdvisor. You can even now connect via Facebook, prioritising reviews most suited to your network. How does this differ from your website? Let me start by saying I have deep respect for Steve Kaufer ‘s vision in starting Trip Advisor. He created a valuable product that made finding a hotel easier. But Trip Advisor has the problem that any established company has- it can’t start from scratch to account for how different the world is today. I would bet that if Trip Advisor was founded today, it would not look like Trip Advisor but more like Funnelscope. As I said above, we have designed Funnelscope intertwined within social networks. It’s not just a separate website that has a social feature– all we are is social. For example, users never have to visit funnelscope.com to provide a review or search. They can tweet a review to us at @funnelscope and we will index it to their twitter account. They can checkin to a hotel on an application like Foursquare and get the option to review. So the checkin prompts the review. Or a user can write a hotel review on their own blog and then tweet or direct message us a link to the review with the name and location of the hotel. We will then index that link and blog review to their social network such that when their Twitter network is looking for a hotel they would see the review. As a note, if a reviewer logs in using Twitter on our website, we also provide the option to log in with their Facebook account. This couples their Twitter and Facebook accounts so a review shared on Twitter is accessible by their Facebook friends when they search and vice versa. Most of the experience on Funnelscope can occur where you already are…on social networks. You don’t have to visit another website in order to review a hotel. We intertwine the experience into what you already do each day. Trip Advisor would have a hard time doing this as they would have to move away from the mentality of being a website to a web service. Funnelscope is looking to build the ultimate hotel review and search web service, which we believe makes reviewing and searching easier for users. And we are attracting reviewers that don’t typically have time or may forget to review on a site like Trip Advisor. Again, this is because we are intertwined in their every day social experience. Just one more point to add here. Another thing that Funnelscope does is we aggregate reviews already being made on the social networks. We have special technology that recognizes which hotel the review is about and then indexes the review to the proper hotel and links it to a user’s social graph. Users are already providing detailed hotel reviews in Facebook status updates and on hotel fan pages. But those reviews are not aggregated in one place when people are searching. This creates a timing issue since users often share their reviews when friends aren’t looking. And when friends are looking that review is no longer available in their newsfeed. So this valuable information is lost. Funnelscope solves that timing problem. We save that review so users can find it when they are indeed looking for a hotel. Over the last 18 months we have captured millions of social ratings and reviews for hotels. There are instances where we have thousands of social ratings and reviews for a hotel where the other review sites have none. Q Where do you see Funnelscope this time next year? F rom my perspective hotel search has seen no innovation since Trip Advisor. That is over ten years ago! There are so many areas where hotel search can be improved and I am excited to see Funnelscope challenge the status quo. Our belief is that hotel search does not have to be tedious. It can a fun, social experience. So today we have innovated the actual review process but we are still early on our vision with the search experience. In the next few months that will change. Hotel search will be a more social, fun experience. Just like providing a review, it will be integrated with user’s everyday social experience. And we believe that we can not only add immense value to the people who search for and review hotels, but also to the hotels themselves. We believe we can give them a high return on investment by working with a company like us. Since we are a web service, we want to add value to their own websites and Facebook fan pages. How can we together drive up conversions and give people a better experience. They already know it’s critical to give people a great experience when they stay at their hotels. But the hotel experience begins with search. Making hotel search fun and social would reflect positively on the hotels themselves. So we are aligned and I hope and believe hotels will work with Funnelscope to push the envelope. From my conversations already, I believe they will. That’s exciting. This whole opportunity is exciting and my goal a year from now is to change the perception of hotel search. Instead of the frustration, I look forward to seeing smiles. I believe this can be achieved otherwise I wouldn’t have started Funnelscope. Q Explain the process of using Funnelscope. Tweet @funnelscope a review. If it needs to be longer you can write a review on a blog and tweet us that link. Soon we will let you email us a review similar to how Posterous allows users to email blog posts. Or users can checkin to one of the location based applications. And of course, users can visit our website and provide a review. Today for hotel search, you need to visit our website or you can tweet us a search request with the exact location and we will tweet you back our search results. On our search results we show real-time trending hotels based on checkins on location applications plus mentions in Twitter and Facebook. This shows you where the buzz is for any location. Below Trending Hotels we show Top Rated Hotels Across Social Networks. The results are ranked based on number of positive connections and recommendations a hotel has versus its rating. This is similar to how LinkedIn or Twitter work. It’s the number of connections that matter and reflect influence on social networks. We use the same approach. You can see reviews from real Facebook and Twitter users. If you login using Facebook or Twitter, then you will see reviews from people in your social networks. Logging in with both services gives you greater access to reviews from your network. We also make available reviews and ratings from friend of friends although you can filter that to just friends. Here is where I would request your readers to please send us reviews and tell your friends to send us reviews. The more social reviews aggregated in a single place, the better experience we will all have in searching for a hotel. This is one of those things we have seen where online social communities reflect real world communities. The more people contribute, the better it is for everyone and we all win. Thanks to Kul for sharing with us his brand concept. I have to admit, when I first looked at this company I had my doubts, especially with TripAdvisor and Facebook’s link up, enabling you to log into TripAdvisor with your Facebook network credentials. But Kul has taken this much further and it could be a real hit. 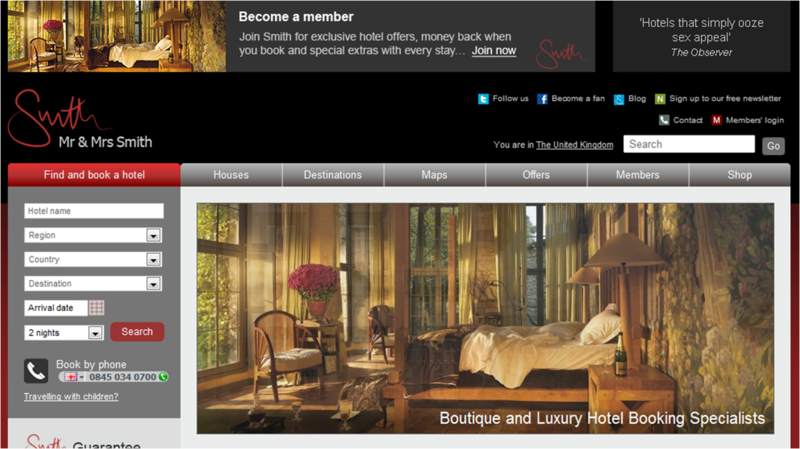 Currently, the website is in Beta mode and only works for US hotels, but take a look. Hotel Insight will keep a close eye on Funnelscope and bring you the latest developments in the story. This week I wanted to share with you a very different hotel booking website, TVtrip. This is a great concept and I recommend you check it out for yourself. 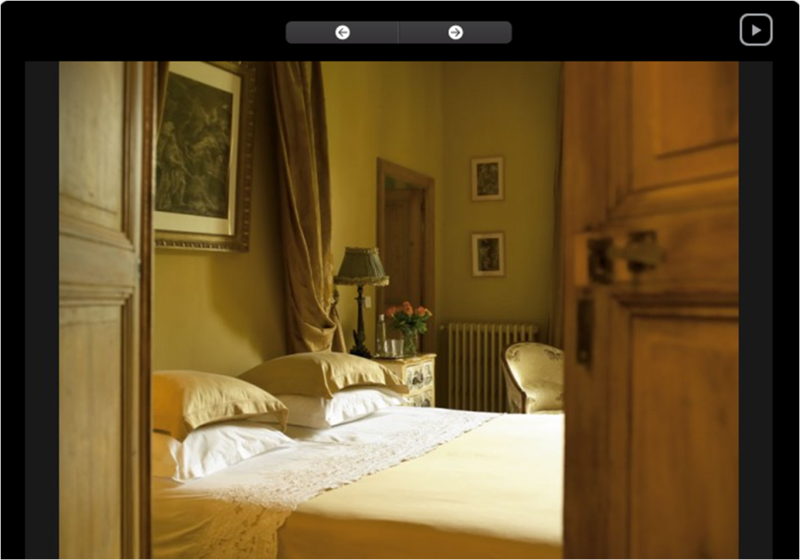 The basic principle is that every hotel the website offer comes complete with a video. And not just a video submitted by the hotel – but video taken by TVtrip, which includes an overview of the property and all of the room types. TVtrip displays videos of all hotel facilities and room categories, as well as detailed information and videos about the surrounding area. See, I told you this was different! Created in 2007, this is still a fairly new business, but certainly meets the modern-day demands of travellers. Video Content. This is fast becoming the medium that travel shoppers want to find and select hotels by, and what makes TVtrip even more appealing is that all the videos are made by their team – which creates greater trust and transparency than just watching something a PR company have put together for a hotel. 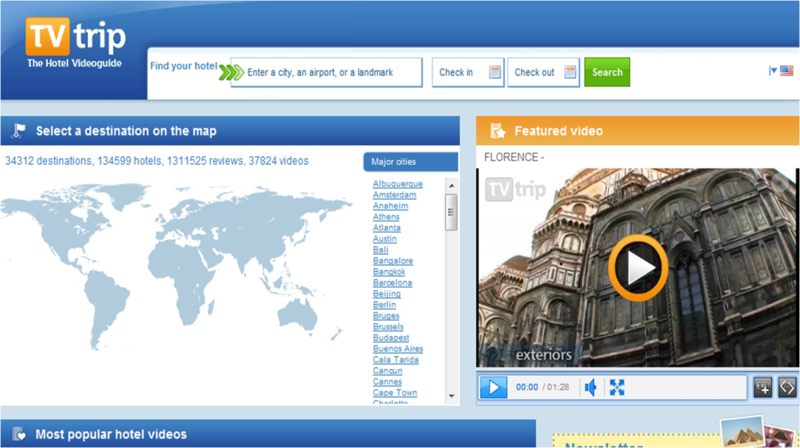 TVtrip also offer a vast range of videos to choose from, with over 37,000. In my opinion, video is quickly becoming a must have in the hotel world. Consumers want to see virtual tours and videos of properties before they travel. The same is true of hotel review websites like TripAdvisor – the internet has brought about a new way of shopping, and with video the possibilities are endless. TVTrtp upload independent videos of the properties they are selling, but if you’re a hotel, think about the power a video could do your brand. giving people a taste of what you have on offer, or giving your staff the chance to tell the world why your property is so perfect. It’s a powerful tool and I can see websites such as TVtrip going from strength to strength. As promised, Hotel Insight are pleased to publish the following interview with Mark Cribb from the Urban Beach Hotel in Bournemouth. I profiled Mark’s hotel in a recent post on this blog and explained how impressed I had been with both the concept of the property, and their effective use of social media. I believe this is a successful model that others could incorporate so I hope you find this interview useful. Q Mark, please introduce yourself and your role at Urban Beach Hotel. With a degree in Leisure Management and having had a career running health clubs and leisure centres in London and a golf course in the New Forest I established the Urban Beach in December 2005. Q We connected via Twitter, talking about free hotel wi-fi! Do you find Twitter a useful way to communicate to potential guests and other businesses? Twitter is of increasing importance to us. It’s still pretty small scale in our marketing programme but I believe its potential is immense and ultimately social media as a whole will dominate our marketing blend. We have permanent searches running on Twitter for a number of relevant phrases from Bournemouth Hotel / Bar / Bistro / Boscombe etc and we’ll try to engage with our community in a positive way whenever opportunity presents. It’s really not about the hard sell, but more about creating a relationship and communicating our industry observations that we hope may be of interest. We only started using Twitter around 6 months ago and actually use it more @theurbanreef than @urbanbeach to learn the ropes, but are getting better at managing both accounts. Our facebook account still feeds our twitter account for the @urbanbeach but we will turn this off shortly and manage the accounts separately putting into practice what we have learnt through @theurbanreef which use to be set up in the same way. Q Social Media is a growing marketing medium – tell us what Urban Beach are doing and what’s been most effective. We have active accounts on Twitter and Facebook. Facebook has been running for a few years and has been by far the most effective for us. I attribute a fair amount of our initial growth to facebook and it really helped us communicate our brand values to our customers. Its two way interaction again helps us reinforce our placement within in our local community. Its worth nothing that facebook has really helped the bar and bistro more than the rooms themselves. Hotel bars are rarely cool so facebook helped us communicate that we are so much more than just a hotel for visitors to our local community. It also helps our hotel guests understand our passion too. With 1000 ‘likers’ a little message out about Sunday Roasts or Live Music Tonight always gets a good response. Q What’s 2010 been like for Urban Beach Hotel and how do you see 2011 shaping up? 2010 has been a good year, but for us our growth over the past four years has been significant. 2010 has been about consolidation since there is less room for growth. It’s worth noting that we took revenue in the hotel from £58k to £1.1 million in less than four years. We are now at the stage where there is little growth left in revenue but much we can do to run a more efficient business and reinforce our brand and loyalty with our regular customers. Social media helps us achieve this and we are very optimistic about 2011. Q If you could sum up Urban Beach Hotel with three words, what would you choose? Q What would you tell hotels who do not currently have any social marketing about how to start this and the best practises you have learnt? I think the key is to start slowly, stay true to your beliefs and be honest, but at the very least make a start. It’s not a matter of life and death for a business, but it has so much potential, climb aboard since in a few years it will be the norm. It’s not going to solve all of your marketing problems in one swoop, but over time its opportunity through a creating a genuine loyal following is immense. Don’t’ judge the success on followers or ‘likers’. It’s about quality not quantity. Build a community, keep in touch with them and embrace their message to you even more than your message to them. Q What do you make of Four Square ? Do you use it for Urban Beach ? Any feedback on this? I like the concept. The idea of being able to reward loyal visitors and the competitive aspects of visitors being able to become mayor of the venue also sounds like great fun. We have an account, but we’ve done nothing to manage it yet. Facebook was the first for us to run with, Twitter is pretty recent and Four Square will probably be next. However, perhaps facebook places will take off and reduce our need to offer further medium. At the end of the day managing all these things take time and ultimately need to show a return. At the moment we can’t invest the time in Four Square , but we may do soon, after all winter is coming. Q TripAdvisor is probably the most used tool when a traveller wants information on a hotel. With this in mind, how do you manage guest comments and how much attention do you pay to this channel? We love customer feedback through any medium from Social Media to our Website or through Trip Advisor. I find tripadvisors lack of transparency a bit rude and unprofessional. We fell out when they moved us from the hotel to B and B section of their website without explanation. When I called to enquire as to why they told me to write a letter to an address in America . I’ve tried a few times but never get a response. We’ve also had feedback left from guests who have never stayed. So, whilst we use to actually promote the website in our room packs and on our website, we now monitor feedback and respond where necessary, and are fortunate enough to have amazing reviews, but we don’t proactively promote or support the site. Many thanks to Mark for sharing his experiences so far. For more information on what Mark’s doing at the Urban Beach Hotel, please visit their website by clicking here.